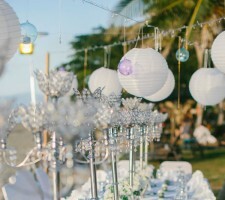 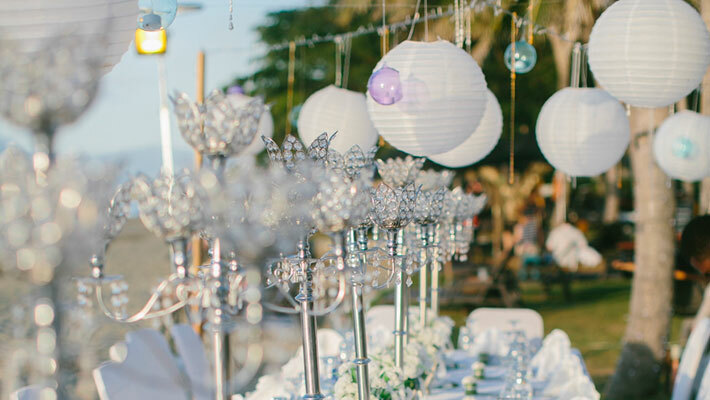 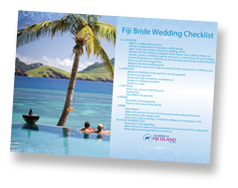 Sofitel Fiji wedding package 2019 / 2020. 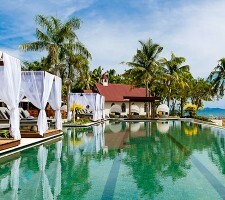 The luxury, five star Sofitel Resort & Spa a popular choice for many bride and grooms every year. 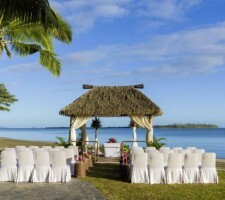 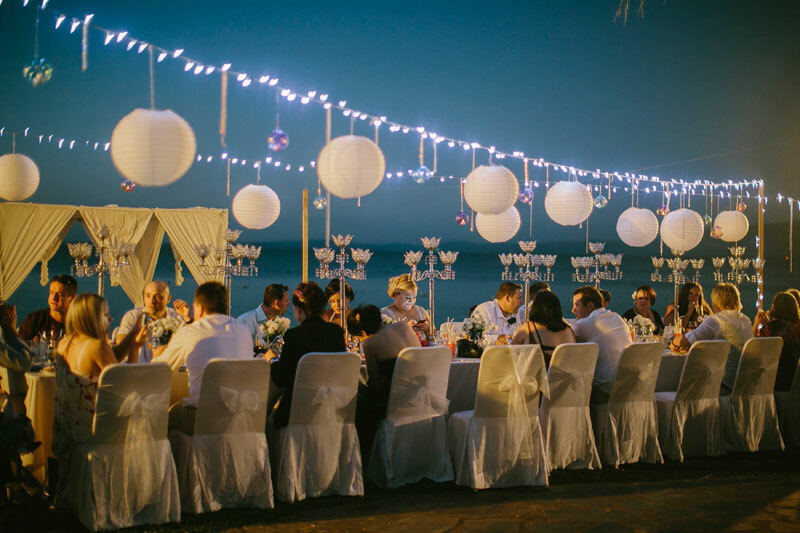 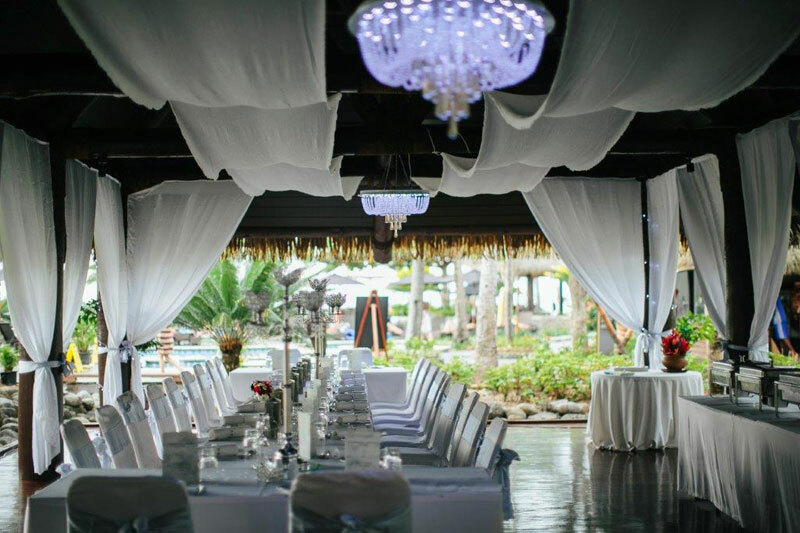 The resort can cater to Fiji weddings of all sizes ranging from large events to intimate beachside ceremonies. 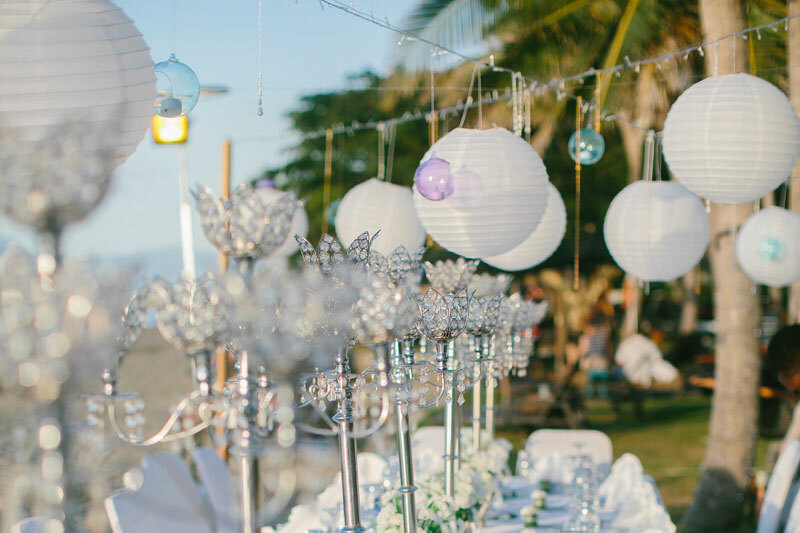 Choose from one of our Sofitel wedding packages or we can personalise the ceremony and reception to your specific requirements. 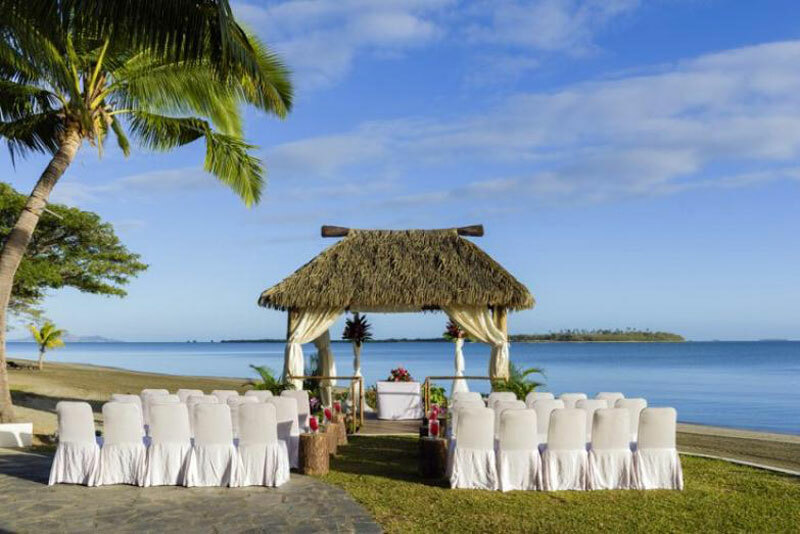 The delightful waterfront wooden chapel is inspired by the quaint colonial style churches throughout Fiji. 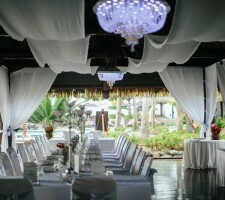 Three arched windows behind the slightly raised alter offer views of the ocean. 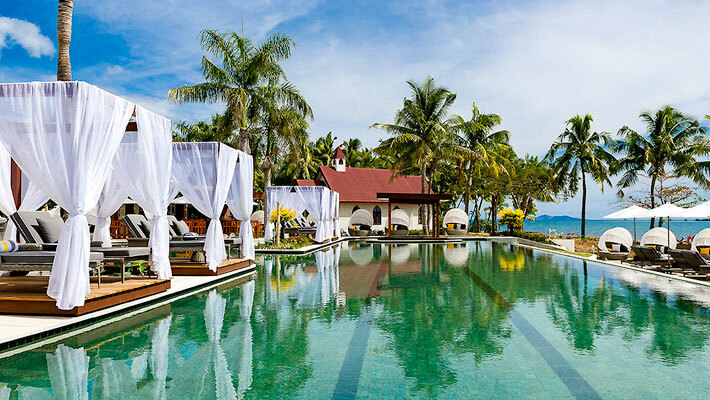 Sofitel Resort & Spa Fiji allows guests to enjoy 5-star luxury while delighting in the warm hospitality that the South Pacific is known for. 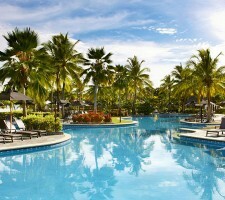 Vou means “new” in Fijian. 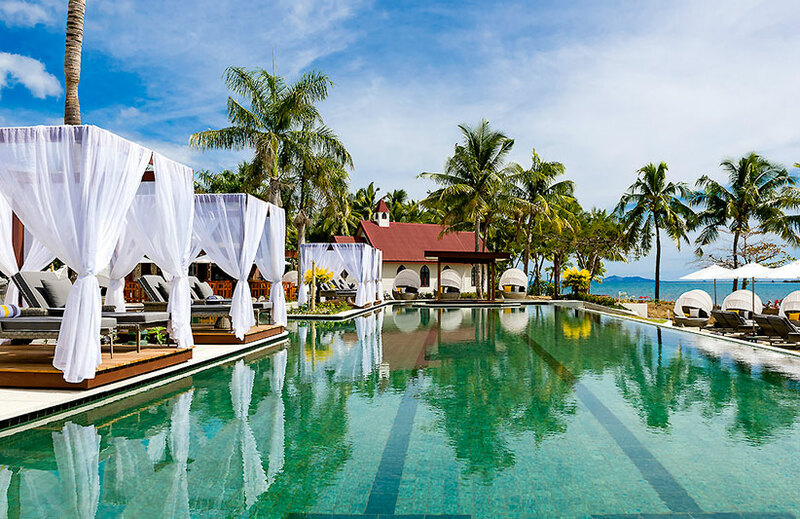 Your marriage is a new beginning, Vou is where decadent French elegance effortlessly blends with warm Fijian hospitality. 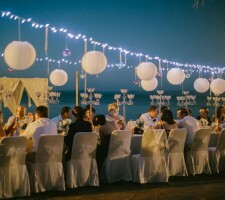 Menu: Traditional Fiji Feast or Tropical Beach BBQ. 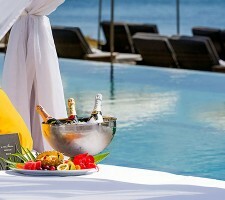 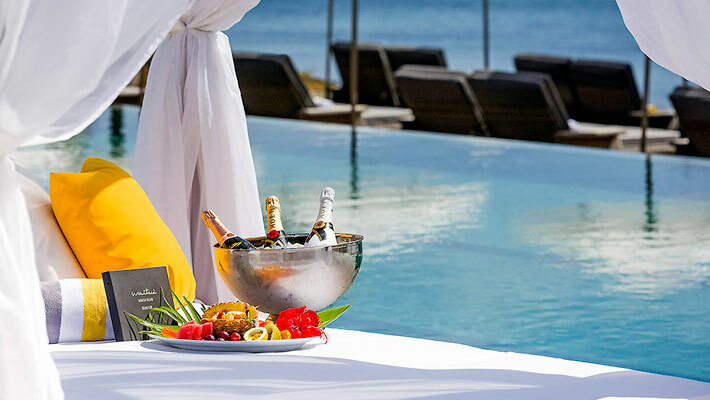 afternoon Tea with sparkling wine, fruit and detox juices. 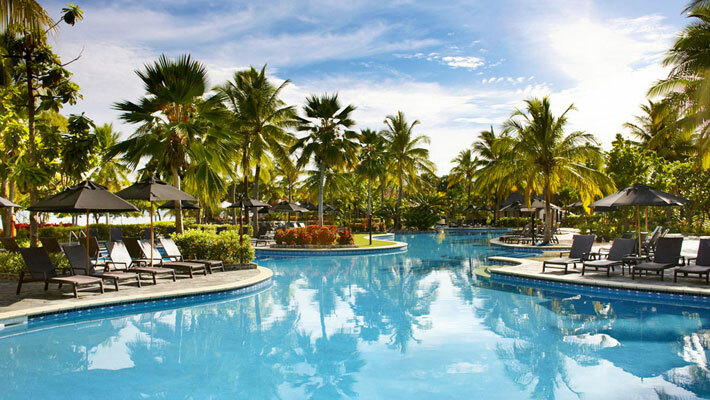 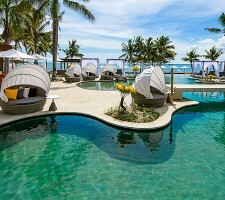 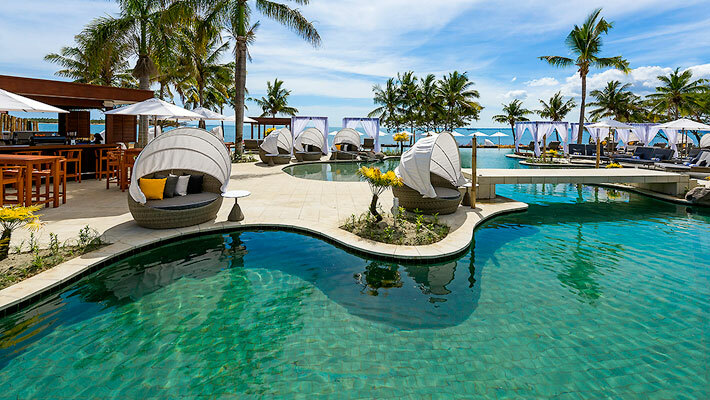 Sofitel Fiji Resort and Spa includes a private beach, wedding chapel, swimming pools, four restaurants, three bars, an international health spa, adults-only pool and relaxation area, and the largest ballroom on the island. 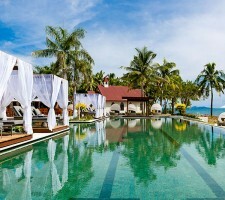 A bustling marina and cultural temples are located nearby.